The Vespa is the staple for classic-looking scooters. I know I’m stating the obvious here, and while the look has inspired a number of companies in their choice of scooter designs, in my opinion, none of these models quite has the old school charm of the Vespa. That is until now and this new model of “scooter” isn’t what you are expecting: it’s electric and it only has one wheel. This is a friendly warning: if you visit the Bel&Bel Website, be prepared to want to buy all the items in their collection. See, the Spanish company doesn’t specialize in scooters; it recycles and reuses cars and scooter components to make perfectly stylish and retro furniture. Seriously, how cool is that scooter office chair? Keeping in their eco-friendly spirit, the team came up with an admittedly pretty cool-looking scooter inspired by none other than the Vespa, minus one wheel and an engine. The shield with beak-like swooping feature sporting the badge and wheel wells of the Z-One are reminiscent of the original, mid-1900s Vespa; the riveted saddle is an original seat modified to fit the peculiar silhouette of the monowheel scooter. Don’t worry about faceplanting on the Z-One: it is actually self-balancing which means that’s one less thing you have to worry about. The tiny commuter is fully electric and is powered by a 60V Lithium-ion battery and is capable of a top speed of 20 mph (yes, we’re talking strictly city commute). Its range varies between 30 and 40 miles which is perfect if you live and work in the city. The handlebar is fitted with a charge indicator and the light switch. The company has actually been interested in the idea of the monocycle for urban commuting for a decade now. Back then, it had already introduced a first monowheel concept. Ten years later, thanks to new technologies, the Bel&Bel team has now come up with this new monowheel design. While no pricing or distribution scheme have been announced yet, but until then, we get to appreciate the design and quirkiness of the monowheel scooter and think of how weird and wonderful the future of commute will be. 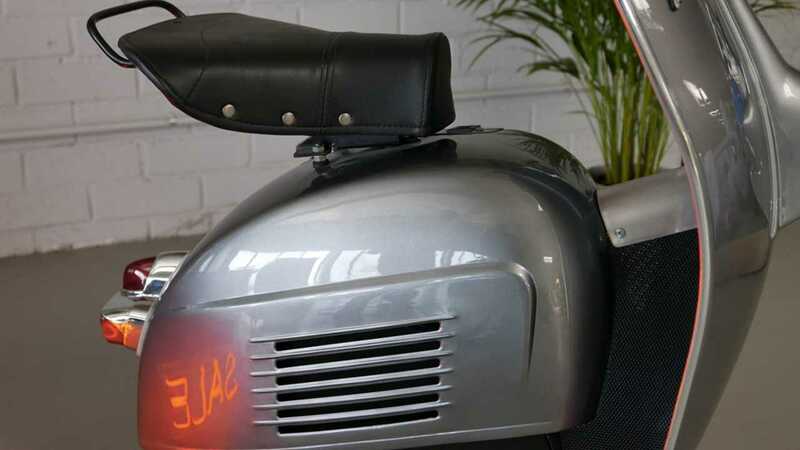 4 Comments on "This Quirky Vespa-Inspired Electric Scooter Is Missing A Wheel"
I thought, oh, this must be from that motorcycle site. Wonder what happens if you accidentally run into a curb or pot hole….! The price will determine it’s range of success. This is much better than the Segway, because it’s got a seat.